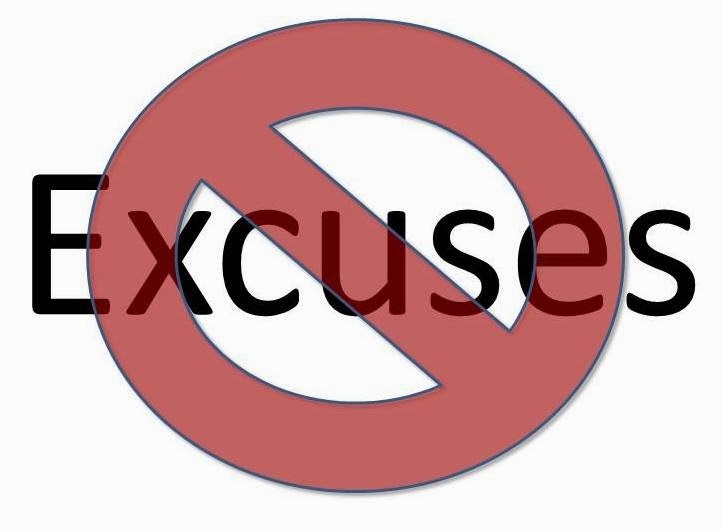 Where would you be if it weren't for your excuses? Could it be that you would have achieved more? Could it be that some of those elusive goals would not have been so elusive? There's no sense in pointing fingers. I know I've dropped a few excuses when lifting the weight would have been more effective. Let's just agree not to make any more excuses, OK? Goals don't respond to excuses. It takes our actions. It takes our persistence. It takes our courage and creativity. But not excuses. We'll all go farther without those silly things, don't you think?